How Far is Arvind Expansia? Arvind Expansia is a spectacular project designed with a brilliant living atmosphere. It is perfectly positioned at Mahadevapura location at Bangalore city which ensures excellent connectivity. Amenities like Children Play Area, Gym, Swimming Pool, Clubhouse, Multi-purpose hall, Jogging Track, Indoor Games and Library makes life here more convenient and enjoyable. Apart from all these there are attractive amenities like Jacuzzi, Sauna and steam room as well which helps to lead a relaxed life and also makes your leisure time more fun. In addition, security, lift, power backup, car parking, 2 wheeler parking, gated community, three phase and borewell are also well available. Some additional feature to highlight at Arvind Expansia is the landscaped garden that makes the environment more vibrant and green. 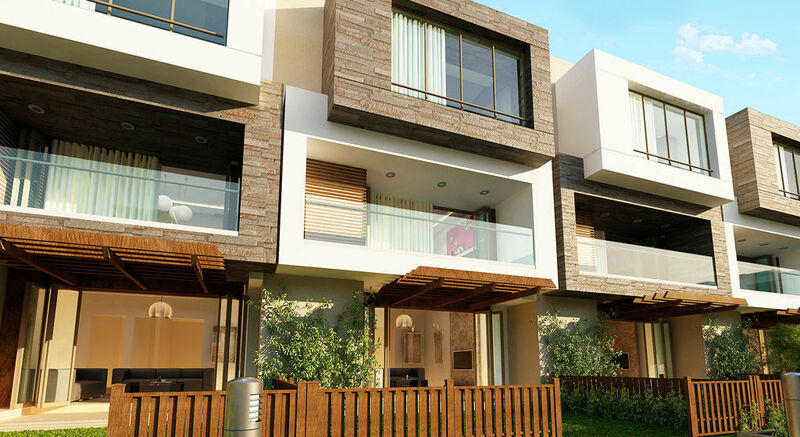 The villas and apartments here are crafted thoughtfully with modern interiors, giving a feel of magnificence and luxury. The building of this property features Earthquake-Resistant RCC Framed Structure. The external and internal partition walls are built with good quality fly ash cement blocks/clay bricks. For living, dining and bedrooms vitrified tile flooring is used and ceramic tiles are used for kitchen, balcony and toilet areas. For the windows, 2 track powder coated aluminium with float glass and grill-jindal or equivalent make is used and for doors standard fittings are used. You can find television point in living and all bedrooms making it more convenient to fix your electronic appliances. Provision for telephone/internet connection in living room and bedrooms are also provided. Living in Arvind Expansia homes truly gives a royal treat to life and helps to create lovely memories with your loved ones. Mahadevpura is a suburb located in Bangalore city. Situated close to HAL Airport, Sarjapur Road, Whitefield, Electronic City and Outer Ring Road, this area has grown into a perfect township. The Outer Ring Road passes through Marathahalli which is also located close to this area. The growing IT companies is an added advantage to this locality. You can find many retail stores, supermarkets, shopping malls and more in this area which makes life more convenient for the residents of Arvind Expansia. Plus, existence of many commercial hubs has also encouraged many residential complexes to come up in the area. Six lane railway over bridge is also situated near Marathahalli Junction that connects Kundalahalli area and HAL Airport Road, providing seamless connectivity to this place. Ready to Occupy 5 BHK Villas/ 4 BHK’s with Occupancy Certificate Centrally located on white field main road at walking distance from Phoenix mall A niche society with only 50 residential units Private front and back yard large garden area Lowest landed cost as compared to peers in the vicinity Luxury internal fit outs – Italian Marble, Floor to ceiling French windows. PRV has a professional set up where in the promoter has decades of working experience in investment/finance/marketing. Its a boutique firm believing in offering projects to our esteemed customers which are good on all parameters. We at PRV team offer you hand picked projects after appropriate due diligence as we don’t believe in advising anything and everything to our clients/property seekers. We understand the due importance of a penny also. You can be assured that our deals are generally at a very attractive price as compared to the current offering from the developer. We have a trained professional workforce who ensures that - from the time you choose a property to getting the handover/registration, you have no shocks and its a seamless process. We offer you complete solution for your property at your doorstep and make sure that property buying is a pleasant experience for you and your family. External and internal partition walls with good quality fly ash cement blocks/clay bricks.